West Chazy, NY, January 24, 2018	(Newswire.com) - This week, The National Academies of Sciences, Engineering and Medicine released a congressionally mandated Consensus Study Report titled “Public Health Consequences of E-Cigarettes.” By analyzing available research studies, this landmark report shows the potential for e-cigarettes to deliver a positive net public health benefit. The New York State Vapor Association (NYSVA), the trade association representing hundreds of vapor businesses in New York, believes keeping vapor products legal and easily accessible for adult smokers will benefit public health and this report supports that belief. The association’s mission is to educate legislators and public policy administrators by providing valid scientific data on vapor products to ensure laws are enacted based on science, not misinformation or propaganda. This report not only provides an unbiased analysis of research to date, but puts the science in perspective, and exposes the potential consequences to public health when poor policies are enacted. The full report is available here. 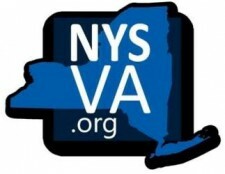 For more information about NYSVA, visit www.nysva.org. Source: New York State Vapor Association, Inc. The New York State Vapor Association (NYSVA.org) is the first non-profit organization in New York run by and dedicated to vapor product business owners and has been advising researchers, legislators, government, and industry for more than 8 years.